Rennell and Bellona (pop. 4,500) is a Polynesian language in the Solomon Islands. The islands are uplifted coral atolls with fertile soil in the inland part of the islands, especially in Bellona where the soil contains phosphate, while the fertile soil on Rennell is mostly found in pockets which contain bauxite. 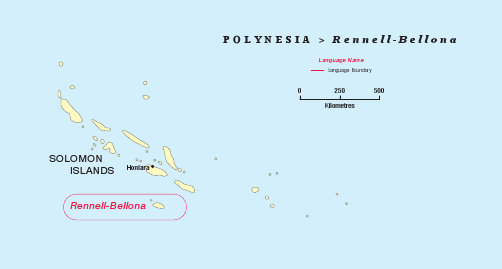 Unlike most island dwellers in the Solomon Islands, the people of Rennell and Bellona live in the centre of their islands, rather than along the coast, which is very rocky. In 1978 Nico and Pam Daams were assigned by the SICA Translation Committee to assist the Polynesian language groups in the Solomon Islands with Bible translation, beginning with the people of Rennell and Bellona. This was at the request of representatives from these two islands. Nico and Pam lived on the island from 1978 until 1984, when they moved to Honiara in order to also assist the Tikopian language group. The Rennellese New Testament was published in 1994. In 2011, David and Ribeka Tago started to work on the Old Testament. The Tago family. Left to right: Philip, David, Grace, Ribeka, Helen. A revised edition of the Gospels in the Rennell-Bellona language is now available. A dedication service was held in Honiara for the Rennellese and Bellonese people there. At this service, different denominations worshipped together, brought together by the Word of God. 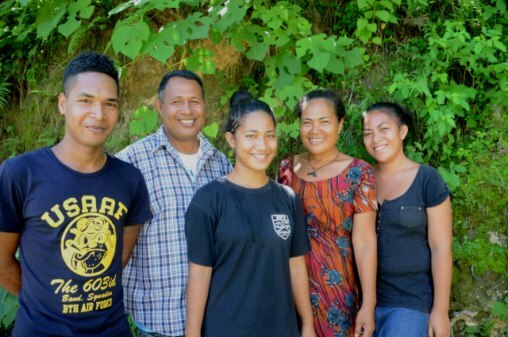 Ribeka Tago, widow of Isles of the Sea team member David Tago, remains fully committed to Bible translation. A fund has now been set up to support her in her living expenses. Donations are welcome and can be made online. After weeks of suffering, David Tago went to be with His Lord on November 3, 2016, leaving behind his wife Ribeka and four children. His final words were “God is still on His throne”. David’s passing is a great loss for the Isles of the Sea team. David and Ribeka Tago from Rennell-Bellona re-started work on the translation of the Old Testament. They also got together with church leaders, who decided to set up committees to work on this translation.